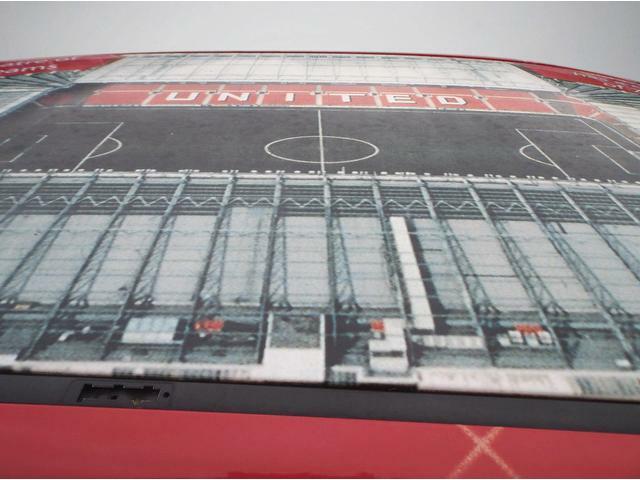 Sometimes you have to hold your hands up and admit to being fan to the point of obsession when it comes to your club. 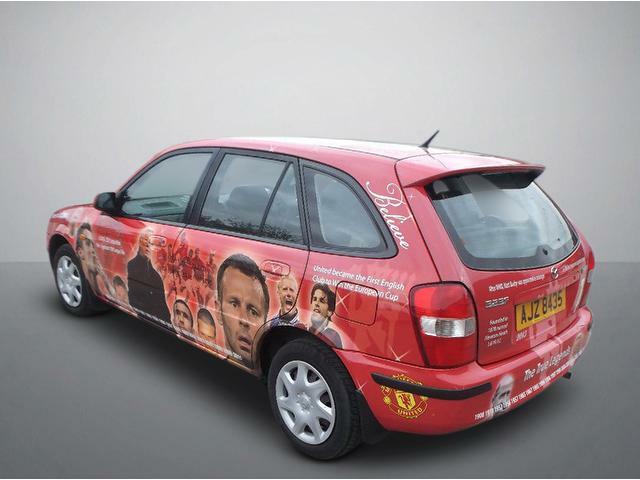 If your club was a person, a restraining order might be on the cards in some cases such is your freaky devotion. 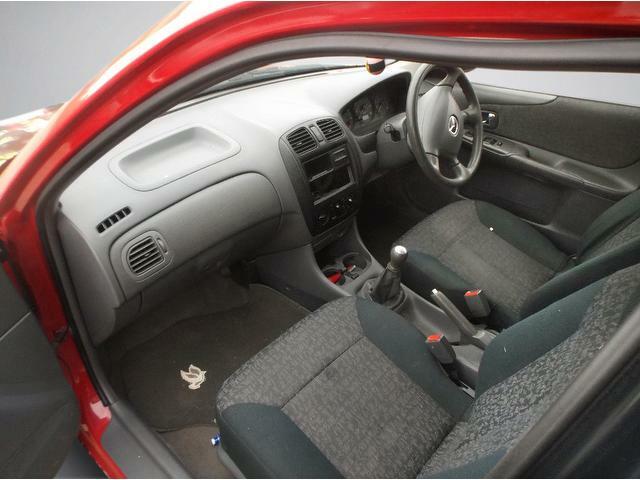 One thing that jumped off the old Twitter at me, as potential "must own", this weekend was a rather amazing 2001 Mazda 323 1.3 LXi 5dr on http://www.tradecarscleckheaton.co.uk/ for only £790. 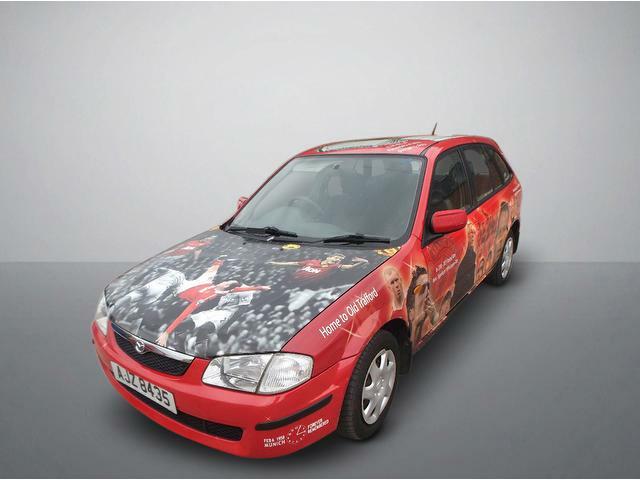 So what's so great about a 14 year old car you might ask. 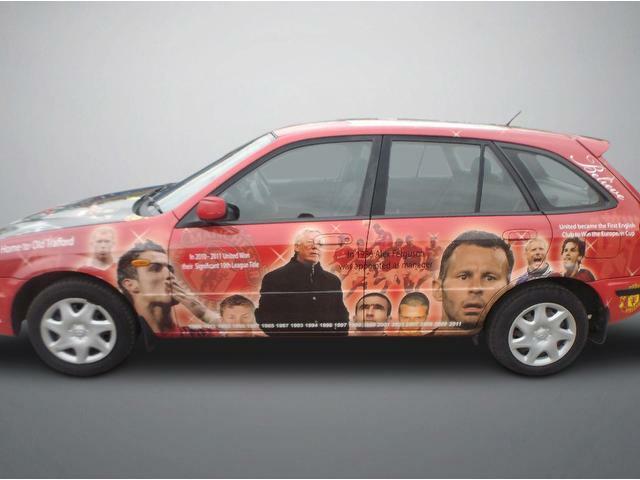 Well it's the paint job. 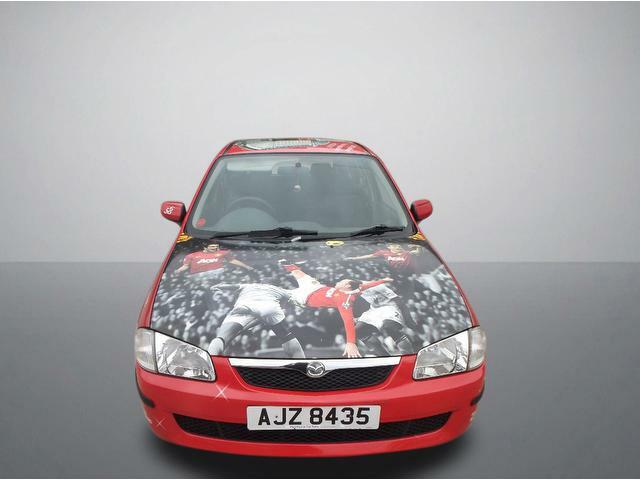 This not quite vintage roadster is decorated with artwork relating to my club Manchester United and would leave no one doubting where my allegiances lie if I were to bomb around town in this number. 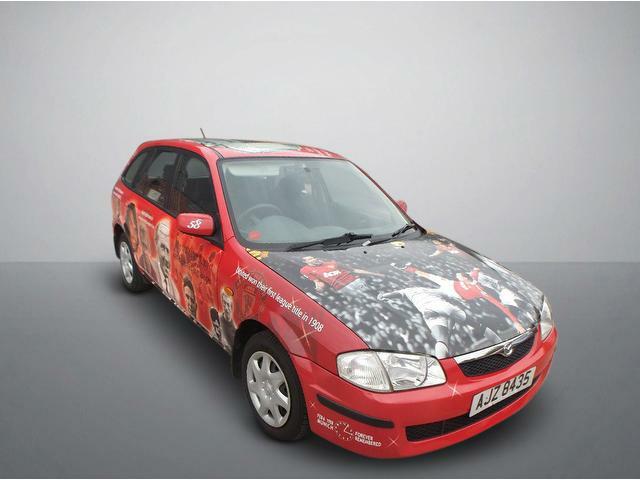 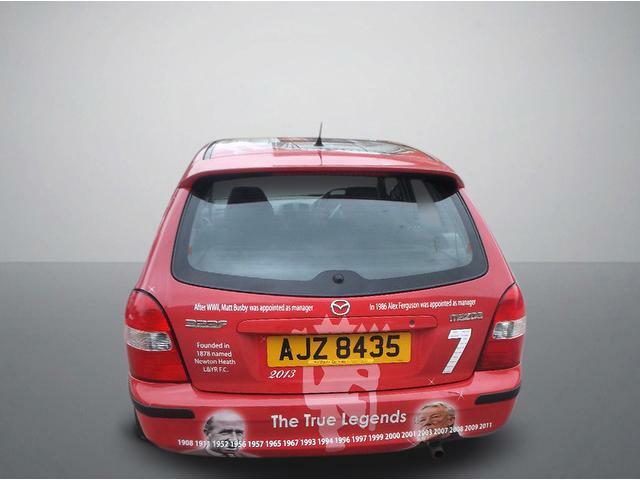 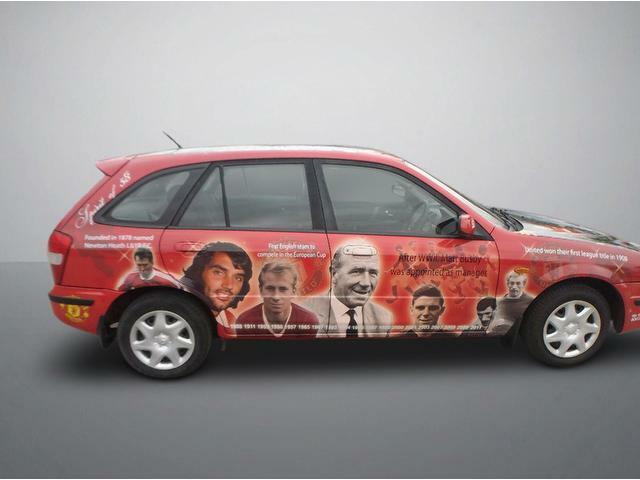 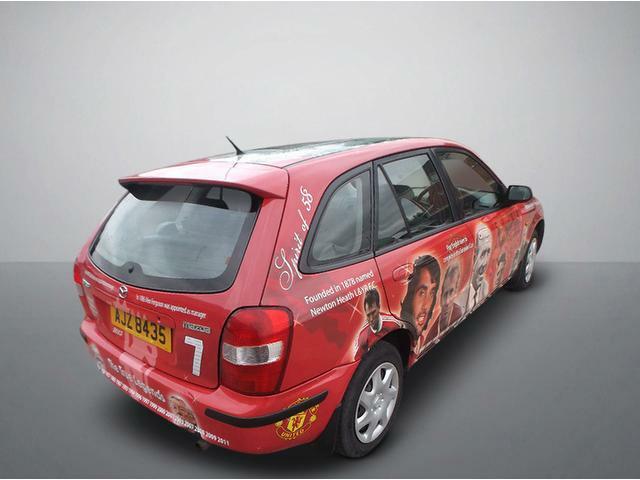 With images of Ryan Giggs, Paul Scholes, Cristiano Ronaldo, Wayne Rooney and Sir Alex Ferguson this car is the perfect gift for any Red who has no plans to every drive into a town or city that is populated by rivals of United.